It’s not always easy to express gratitude verbally which is where Aberdeen flowers step in with our gorgeous thank you floral designs. Flowers have been used throughout history as gifts for all sorts of occasions meaning that they are ideal for occasions which require a thank you. No matter what it is you’re saying thank you for, there’s something perfect here for everyone. 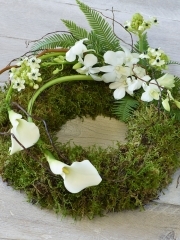 First and foremost, we want to assure you that you’ll get your money’s worth here at Aberdeen flowers as all the florists have abundant experience in the floristry industry, our flowers are of the highest standard and our number one priority is customer satisfaction. All the flowers the florists work with have been imported all the way from Holland, the western region of the Netherlands renowned for cultivating some of the finest flowers in the world and we can wholeheartedly attest to this. Combined with over four deliveries per week, not only are our flowers of the highest quality but they are also the freshest. This means that your recipient will be able to enjoy their flowers for many days due to the high longevity of our flowers. 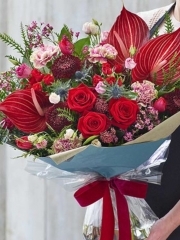 You are able to have a browse through our thank you flowers online to get a general feel for the sort of work we are able to produce here at Aberdeen flowers. If you have any further queries regarding any of the services we provide, please do not hesitate to get in touch with us. You are able to get in touch either by phone or email as there is always some readily available to answer any and all queries you might have. We always love hearing from you as we always want to better our services in order to provide you with the best services possible. 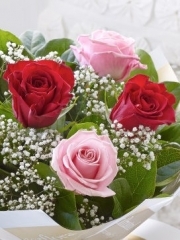 Once your flowers have been ordered, all customers have the choice to use one of our flower delivery services. We hope that these offer some convenience for you as we understand that it’s not always possible to deliver flowers yourself in person. 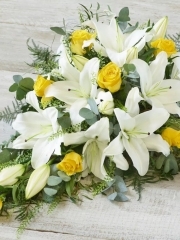 Whether you want the flowers to be a surprise or if distance is an obstacle or whatever the reason might be, Aberdeen flowers will deliver your flowers on your behalf. All of our delivery services are available six days a week, Monday to Saturday, between 9:00AM and 5:30PM, our opening times. 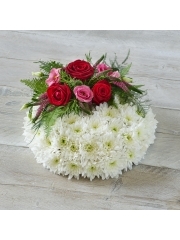 The standard flower delivery service allows you to place your order some time in advance, whether it be a couple of days or a couple of weeks, so you don’t need to worry about your flowers once your order is with us. 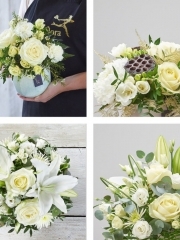 The same day and next day delivery options are ideal for those occasions which pop up out of the blue, for those are perhaps slightly more forgetful with dates than others or for those who simply like to surprise loved ones with gorgeous flowers. The same day option allows you to place your order on the very same day of the delivery. 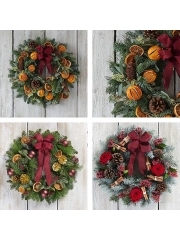 Please note that in order to use this service your order must be with us by 3PM in order to give the florists in Aberdeen enough time to arrange your orders for you to the highest standard. If you miss the cut off deadline, you can use the next day flower delivery which gets you place your order the day before the delivery. This means that everything will taken care of on your behalf within the space of two days. No matter how big or small your request might be, we at Aberdeen flowers will always do our absolute best to fulfil all of your wishes.